JA pump is the most mature product from LX Brand. It has robust aluminum body and base, latest plastics parts sealed in watertight condition, and air-cooled motor, which makes it an extremely silent pump in a continuous working condition. It is widely used in circulation or filtration of spa pools, massage bathtub. JA50 is also popular in sea water fishery pool or other weak corrosive liquids. 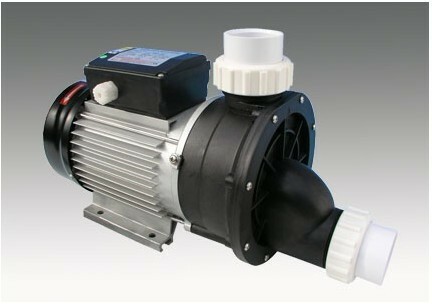 This pump is a replacement jet pump inside the china spas (winer, jazzi, or monalisa). It could be also used to replace your same Davey or Aqua flow pump from the same manufacturer. This pump has been delivered to Australia wide, EU, UK, or USA, and worldwide courier available to check out directly. As an ultimate seller of this pump, we always promise that they are best-priced and if you can find any similar product with lower price, please email us to get back a favorable price!